Keep your treasures safe with this charming heart trinket box. 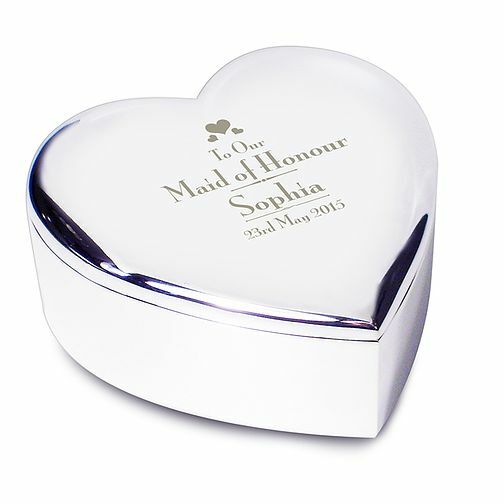 The heart shaped design detail ensures a heartfelt finish perfect for any Maid of Honour. Add in the personalisation of your choice to make this a truly unique gift for her to enjoy.